Each month, taste the differences between cheeses of different ages, cheeses from different locations, cheeses made with different milk sources. 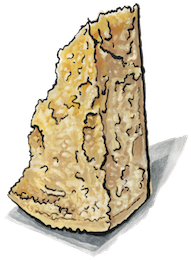 You’ll get two chunks of Parmigiano Reggiano each month, always totaling over a pound total, along with information about the two different cheeses. The first month’s shipment also comes with a parm knife, for chipping off chunks for pasta, salads, or just nibbling. They don’t eat this bread in Italy, but they should! 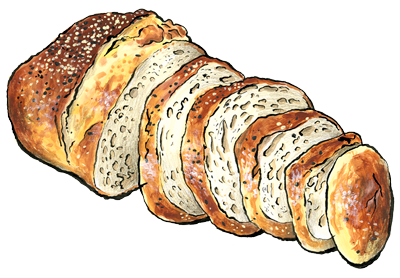 The naturally leavened bread made with organic flour, the savory parmesan cheese, and the bursts of cracked black pepper—it was never just another loaf of bread. Every loaf has 3 ounces of Parmigiano-Reggiano from the small Roncadella dairy in Italy, along with a load of fresh, in house cracked Zingerman’s Five Star Black Pepper. 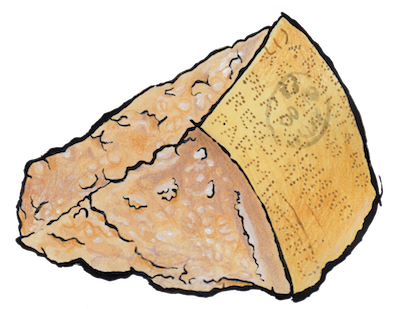 At Zingerman’s Deli, we rotate through all of our favorite Parmigiano Reggiano dairies. We’ll always be carrying two different varieties. Ask our cheesemongers for a sampling to taste the difference! Order Parm now to pick up! You can also get Parm shipped to you anywhere in America. The Cream Top Shop, home of Zingerman’s Creamery, has Parmagiano Reggiano for sale and tasting on the South Side. Check out the Cream Top Shop!